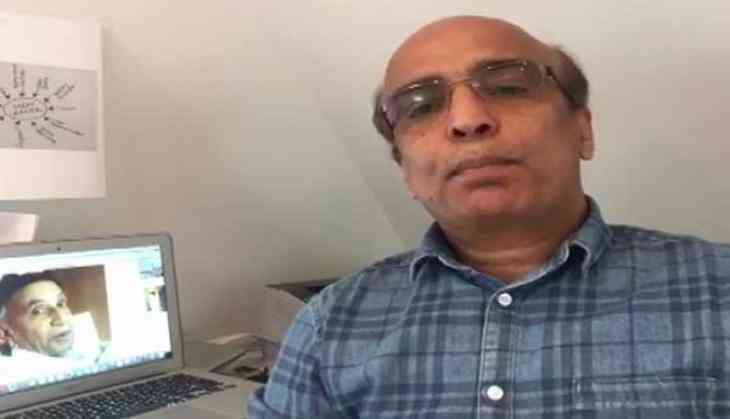 Exiled Sindhi nationalist leader and chairman of the Jeay Sindh Muttahida Mahaz (JSMM) Shafi Burfat has alleged that Pakistan Army and Inter-Services Intelligence (ISI) used Pakistan's judiciary system to target Prime Minister Nawaz Sharif. "Pakistan Army and ISI have used the judiciary as a weapon to target Sharif. This has been done to make political parties in the country weak," Burfat said. He said the verdict of disqualifying Prime Minister Nawaz Sharif was also due to differences between the politicians of Punjab province and the army. Burfat claimed that Pakistan Army wants to take control of the China Pakistan Economic Corridor (CPEC) and convey a message to China that its role in such projects is important and without the Pakistan Army support it is not possible. He said the Pakistan Army wants China to hand over the complete responsibility for developing the CPEC project to it. Burfat said the Pakistan Army was also against the soft corner of some Punjabi politicians for India. He accused Pakistan Army of supporting and sponsoring terrorism in India by naming India as its enemy. He added that ISI is also supporting terror activities across border on name of Kashmir. Burfat further noted that Pakistan army wants its rule to take place over all the provinces of Pakistan. Pakistan Supreme Court's five-judge larger bench headed by Justice Asif Saeed Khosa on Friday unanimously announced the verdict, disqualifying Sharif as it delivered the Panamagate verdict. The court said that Sharif had failed to disclose his 'unwithdrawn' salary as chairman of a United Arab Emirates (UAE) based firm at the time of the filing his nomination. According to reports, Page 23 and 24 of the verdict, the legal basis for disqualifying Sharif is explained. ii) The Election Commission of Pakistan shall issue a notification disqualifying respondent No. 1 Mian Muhammad Nawaz Sharif from being a Member of the Majlis-e-Shoora (Parliament) with immediate effect, where after he shall cease to be the Prime Minister of Pakistan." The apex court ordered the National Accountability Bureau (NAB) to file a reference against the accused in an accountability court in six weeks, directing for the trial to be concluded within six months. It is the second time in Pakistan's 70-year history that the Supreme Court has disqualified a sitting prime minister. In 2012 then prime minister Yousaf Raza Gilani was disqualified over contempt of court charges for refusing to reopen a corruption case against President Asif Ali Zardari. Also no Pakistani prime minister has ever completed a full five-year elected term. Most tenures have been cut short by military coups. While serving as the country's Prime Minister in 1993, Sharif was sacked by the then-president over graft allegations, while in 1999 he was ousted in a military coup.